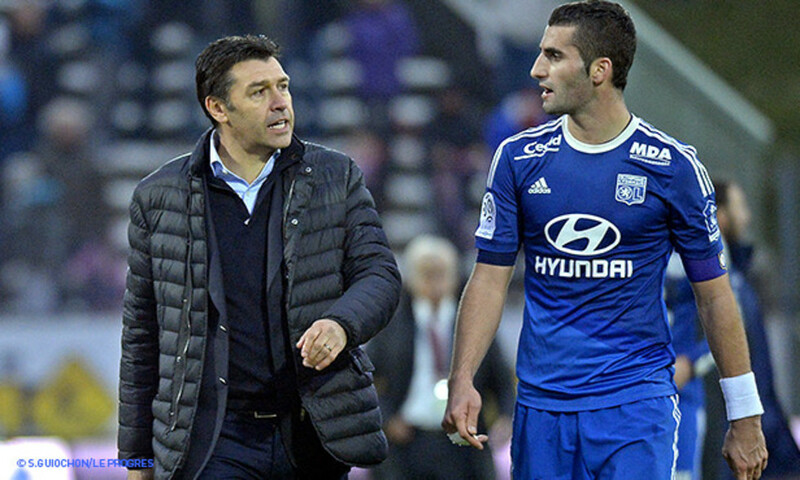 Hubert Fournier revelaed he would be making changes. He kept his word. Mvuemba and Malbranque started in midfield; Tolisso moved to left back at the expense of Mou Dabo. OL stayed loyal to their 4-4-2 formation. 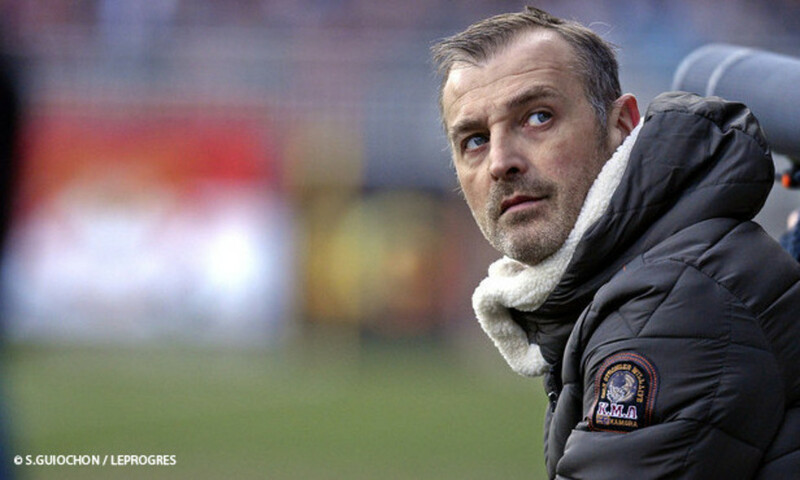 For Nantes, Dupé was in goal; regular starters Riou, Cissokho and Bammou were on the bench. FCN started in a 4-2-3-1 formation. OL made the perfect start as they won back possession early and launched into an early attack: Malbranque, released by Ghezzal, found Lacazette in the area and the league's top scorer opened the scoring with a clinical finish! 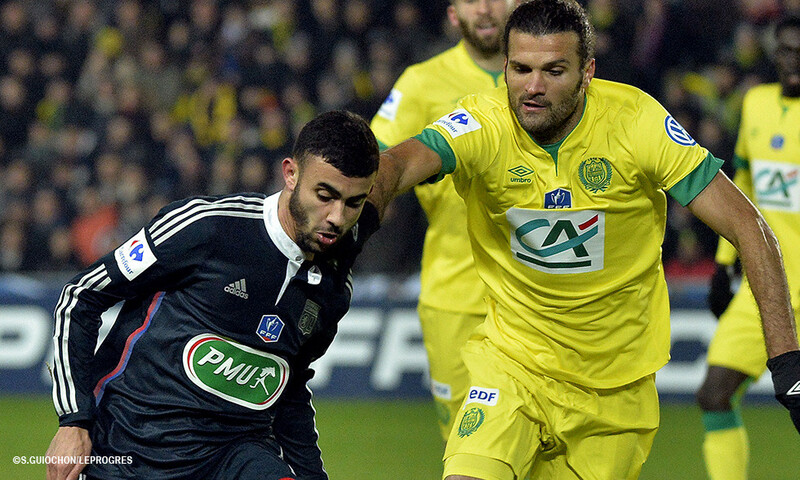 However Bessat supplied the finishing touch to an excellent counterattack. Two minutes later he fired Nantes in front. OL were not focused enough to deal with the quick counters from the home side. Lopes then had to make an excellent save to deny Vizcarrondo (33'). Les Nantais stayed organised and looked dangerous every time they broke forward. Audel went close to finishing off another ball over the top (41'). FC Nantes were deserved leaders at half-time. OL lacked their usual teamwork and construction in the play. Does every cloud have a silver lining? Only the future will reveal that! OL now have just 17 league matches left this season to meet the club's objectives... After a very average first half, the second was a vast improvement. But conceding three goals showed where the weakness lies. 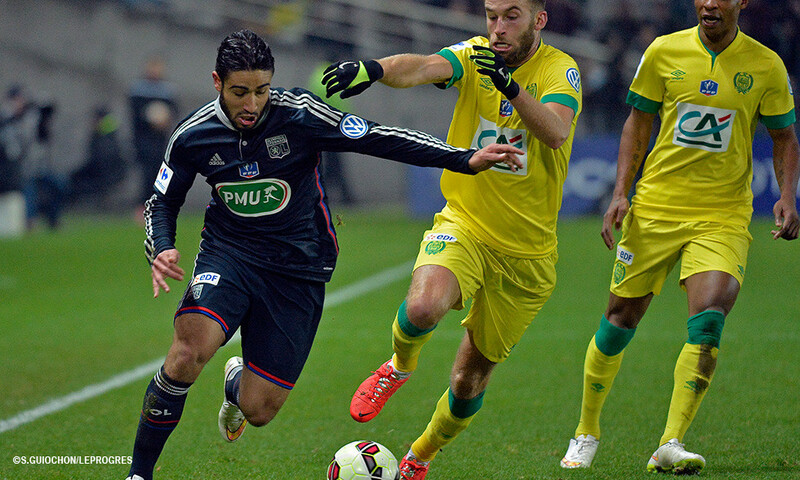 It was another warning, and the team must now bounce back against Metz in Ligue 1 on Sunday. Nantes, Stade de La Beaujoire, 20,000 spectators; Referee, Mr Jaffredo. 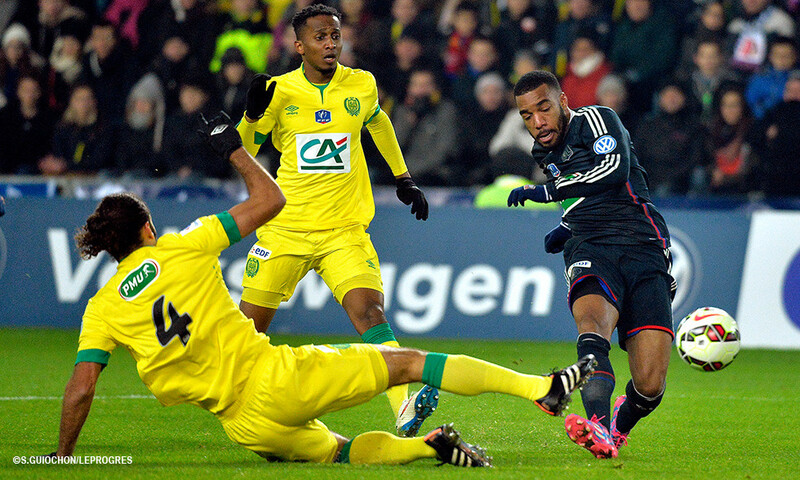 FC Nantes 3-2 OL (H-T: FCN 2-1 OL). FC Nantes: Dupé – Alhadur, Djidji (Bedoya 83'), Vizcarrondo, Veigneau (c) – R. Gomis, Deaux- Audel (Nkoudou 74'), Veretout, Bessat – Bangoura (Shechter 67'). Coach: Der Zakarian. OL: Lopes – Jallet – Rose (Dabo 46'), Umtiti, Tolisso – Gonalons (c), Malbranque (Gourcuff 88'), Mvuemba (Ferri 74'), Ghezzal – Fekir, Lacazette. Coach: Fournier. A Nantes, Stade de la Beaujoire, 20 000 spectateurs environ ; arbitre, M. Jaffredo. 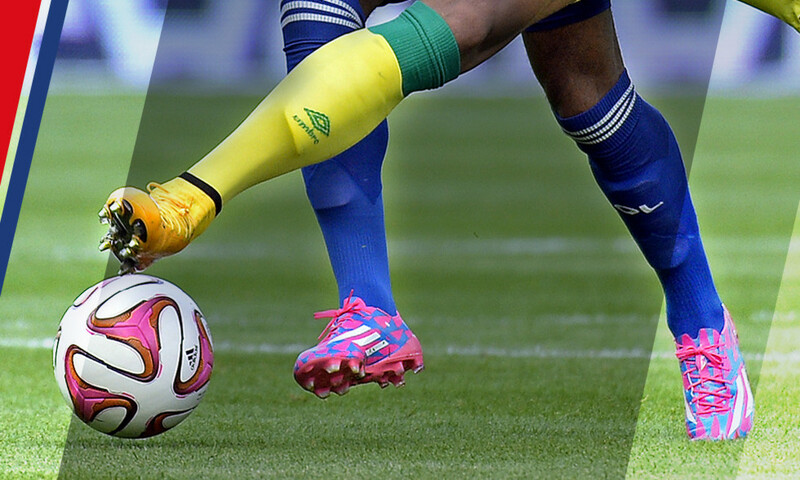 FC Nantes 3 OL 2 (mi-temps : FC Nantes 2 OL 1). FC Nantes : Dupé – Alhadur, Djidji (puis Bedoya 83ème), Vizcarrondo, Veigneau (cap) – R. Gomis, Deaux- Audel (puis Nkoudou 74ème), Veretout, Bessat – Bangoura (puis Shechter 67ème). Entr : Der Zakarian. OL : Lopes – Jallet – Rose (puis Dabo 46ème), Umtiti, Tolisso – Gonalons (cap), Malbranque (puis Gourcuff 88ème), Mvuemba (puis Ferri 74ème), Ghezzal – Fekir, Lacazette. Entr : Fournier.